This meditation retreat is open to all. There are no practice or program prerequisites. The Sanskrit word paramita means to cross over to the other shore. It also means perfect realization, or reaching beyond limitation. The paramitas -- generosity, discipline, patience, exertion, meditation and wisdom -- are the very essence of our true nature. However they are often obscured by fear and other habitual tendencies. We can dissolve these obstacles through practice, contemplation, and social engagement to re-awaken these qualities and to help others. A Weekthün is an intensive weeklong group meditation retreat under the guidance of a senior teacher in the Shambhala/Buddhist lineage. Designed for both newcomers and experienced students, this retreat will offer sitting and walking meditation, individual interviews, talks, and experiential exercises. An important aspect of this retreat will be contemplations and discussions of how to bring these heart practices into our chaotic life to help others and transform society. You are encouraged to participate for the entire week, but you are also welcome to attend for one or more days. Partial day attendance will not be permitted. Please register in advance. A minimum number of participants are needed for this program to go forward. Attending the full retreat meets the Weekthün requirement for Enlightened Society Assembly and Warrior Assembly. Vajrayana practitioners are welcome to participate and will have a separate space for practice and study sessions. Daily participation: 9am-6:00pm (evening sitting optional) includes light breakfast, lunch, and afternoon tea (Program price: $80/day, Patron price: $100/day). Please indicate in the Comment field when you register which days you will be attending and plan to pay at the door. 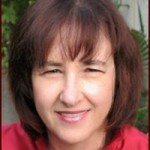 Shastri Marcy Henry-Fink has been a student of the Shambhala/Buddhist teachings since 1977. She has taught meditation for over 30 years in city meditation centers, retreat centers and colleges. As a member of the Los Angeles Buddhist and Interfaith Councils she has worked with the diverse religious communities in the region. Trained in both the sciences and the arts, she has been a stress management consultant and is currently exploring how to bring mindfulness/awareness and Shambhalian principles into the workplace. Please note: Practitioners who are seeking Weekthün credit for Enlightened Society Assembly and/or Shambhala Guide Training must attend the full program, including dinner and the evening practice session. Attendance is required through 8:45 pm to receive credit.